Posted on December 29, 2018 Posted in Tarts	. The taste of this tart is Christmas in a nutshell, but you do need to be a lover of figs that’s for sure! After playing around with the size, flavours and quantities of a mince-pie alternative tart (I love mince pies apart from the filling aka the main part of a mince pie lol), I ended up happy with little bite sized tarts (almost canapé style). If you like mince pies but prefer figs over sultanas this is the perfect mince pie replacement Christmas treat for you. You never know, you may convert yourself to a new Christmas fav, others too! Pre-heat the oven to 200c degrees. 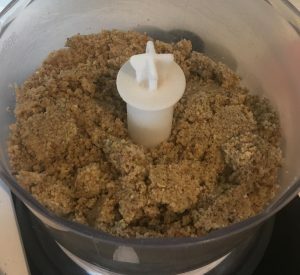 Place the pastry ingredients into a food processor and blitz until the mix resembles fine breadcrumbs. 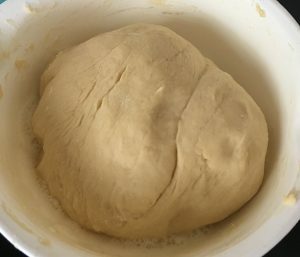 Add 25ml of water and process until the mix resembles dough and comes away from the sides of the bowl. 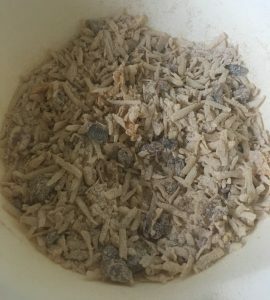 If this does not occur and the mix looks too dry add an extra 5ml of water and process again. 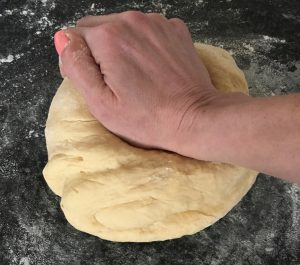 Place the dough on a floured bench and knead the dough for a minute. 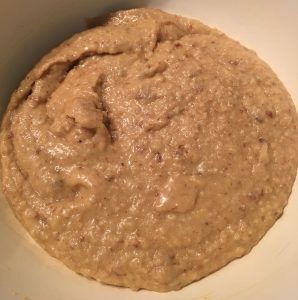 Following divide the dough into 12 balls of 15g each. 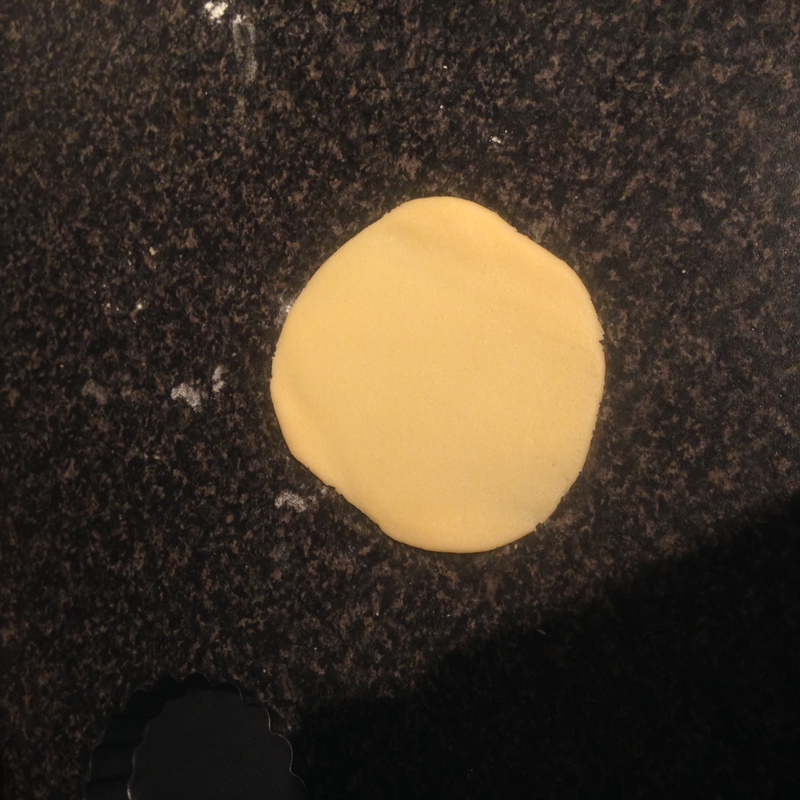 With a rolling pin roll the balls into disks and place them into 12 mini (1 + ½ tbsn capacity) tart cases. 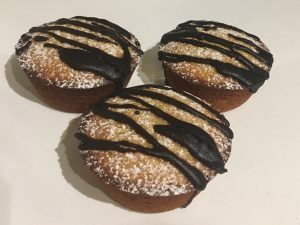 OR as an alternative grease a small cupcake tin and place the disks in the bottom and sides of the tin cupcake holes (a 24 capacity – 33x22cm sized tin are quite common to have or find). 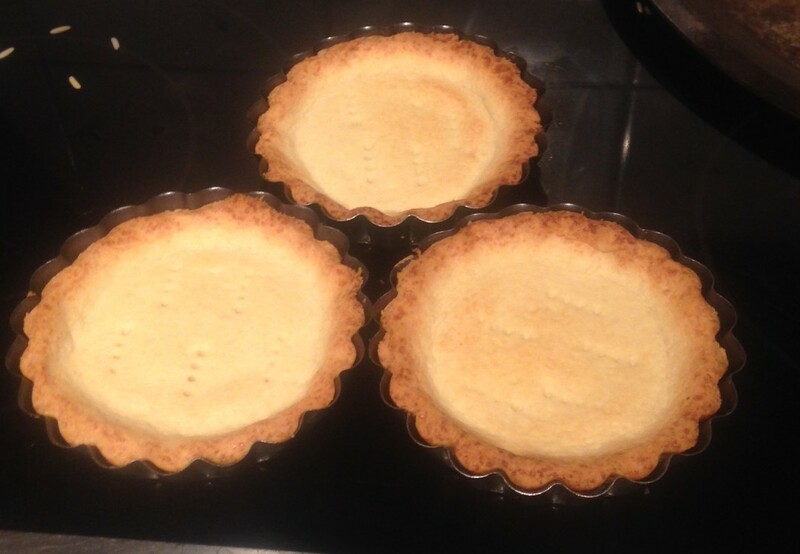 Prick the pastry with a fork a few times and place the tarts in the fridge for 30 minutes. 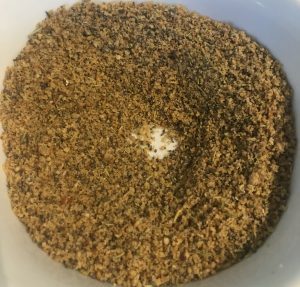 Meanwhile make the filling by placing the lavender into a mortar and pestle and grind until the lavender is too a powder consistency. Place the figs, 320ml of water, honey, lavender, vinegar and orange zest in a pan on a medium heat. 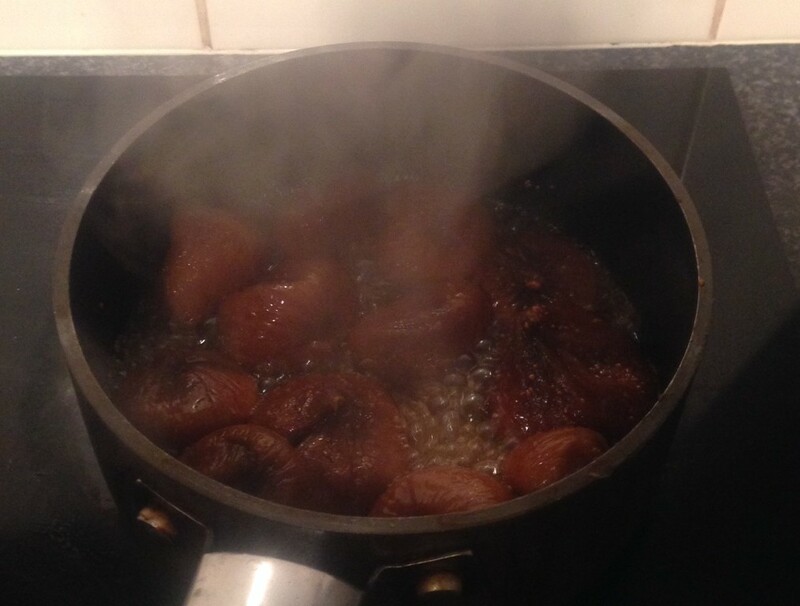 Boil the mix for 15 minutes; stirring every few minutes until the figs are plumb and the water is to a syrupy sticky consistency. 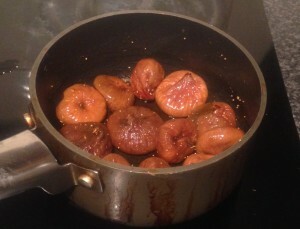 Place the mix into the food processor and blitz until the figs are at a paste consistency. 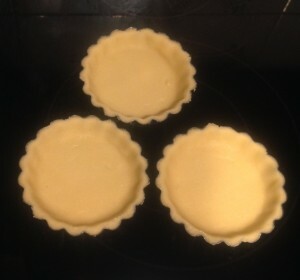 Place baking paper in the center of each tart case followed with some rice or baking weights to weight down the rise of the pastry base while cooking. Place the tart shells in the oven for 10 minutes. Remove the baking paper and weights and bake in the oven for a further 8 minutes or until the tart shells are slightly golden brown. Place the fig mix into the tart shells and bake for a further 5 minutes. Remove the tarts from the oven and once cooled if you wish add a few lavender flowers and a little orange zest for decoration. 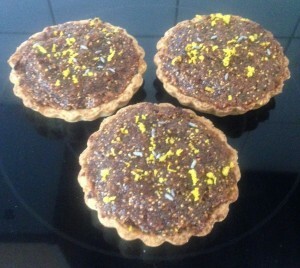 Tags: Fig Lavender and Honey Mini-Tarts, figs, honey, lavender, orange	. Posted on December 8, 2018 Posted in Mexican	. 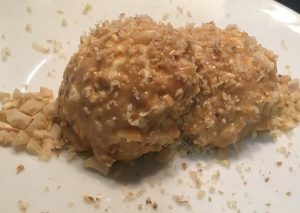 Alegria is a Mexican sweet treat, similar to a muesli bar, however instead of oats as the main ingredient this recipe uses puffed amaranth. Similar to most traditional countries dishes Alegria has endless versions, with many variations on nuts, dried fruits and seeds. 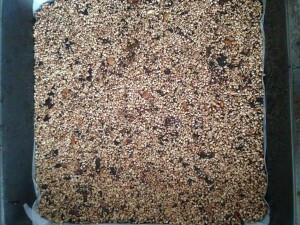 The traditional version is generally a simple amaranth and honey mix. 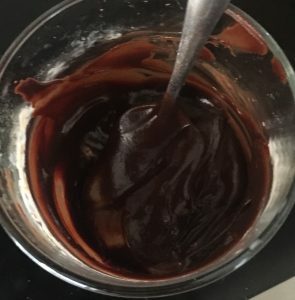 For something a little different and to put my spin on the recipe I opted to add in bitter dark chocolate pieces. Additionally, I added my chosen dried fruit and nut combination that works brilliantly with honey. 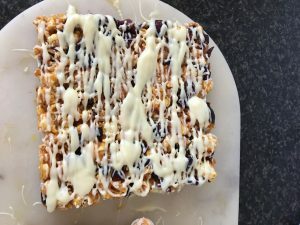 Using salted nuts will add a salty savory offset to the honey, while the sweet fig will complement the bitter chocolate. Amaranth, itself is an ancient grain, similar to quinoa (a super grain with high protein and is gluten-free). Amaranth is a great source of vitamins and minerals, it keeps you regular and is said to lower bad cholesterol. 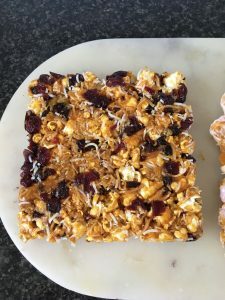 Based on this, how could you not want to eat this ‘muesli bar’ alternative that has no processed sugar and is packed full of body loving nutrition. Amaranth is fast becoming a health isle stable, where I was able to buy the puffed amarath (and grain amaranth) at my local supermarket. Dice the figs, almonds and chocolate into very small pieces and place in a bowl. 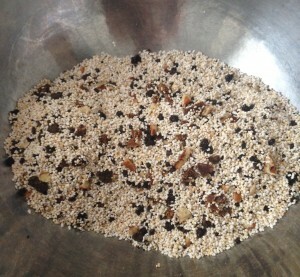 Add the amaranth to the fig mix and stir until well combined. 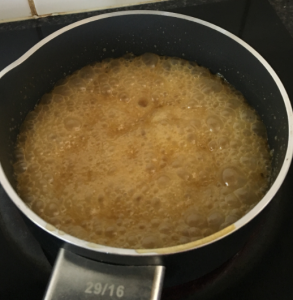 Place the honey into a saucepan on a medium heat and cook for 4 minutes or until the honey is about to caramelize. 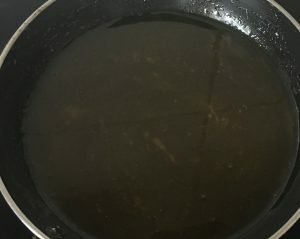 Take the honey off the heat and stir through the salt. 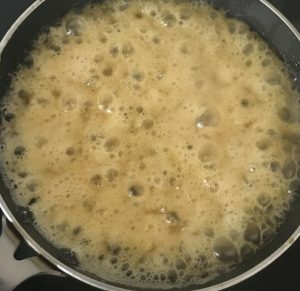 Pour the honey over the amaranth mix and stir until the mix is well combine and the honey is evenly covering all the mix. Spoon the mix into the slice tin and flatten the top until completely level. Place the slice in the fridge for 30 mins minumum to set. 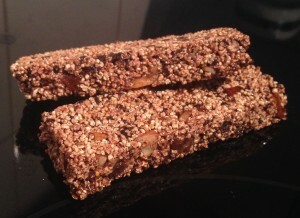 Remove the slice from the tin and cut into bars, enjoy! Tags: alegria, almonds, amaranth, figs, honey, mexican	. 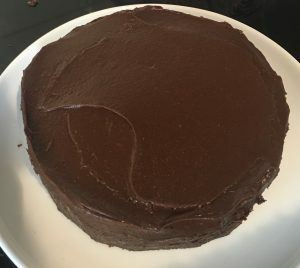 Posted on September 15, 2018 Posted in Cakes	. 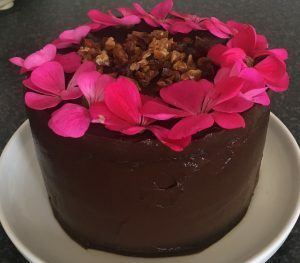 This recipe derived from wanting to make something sweet (but not too sweet), to deliver on the healthy side of baking, while being gluten free & process ingredient free, though still featuring an interesting mix of flavours for a dessert. 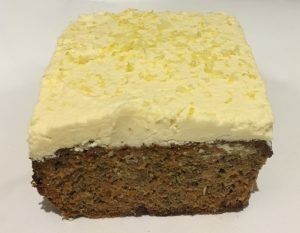 Lemon is very common in my baking and I have used Rosemary in a few of my recipes in the past (see my Mandarin and Rosemary Cake – one of my favs), and carrot cake is quite a common favourite for many. So how is this recipe unique and different? These 3 flavours combine, though are super delicious and complementary of each other, are not typical at all. 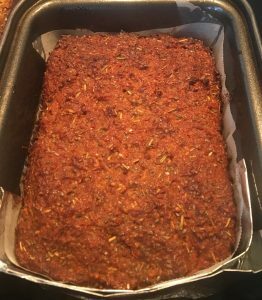 Add in nuts, seeds and natural sugar (well honey) and you end up with a tasty dessert that will keep you satisfied while being friendly to your hips (well more so than standard baking treats that’s for sure)! For a bit more deliciousness I whipped up an easy and quick cream cheese based icing. This recipe hits the dessert craving spot without the ‘naughty’ feeling. Pre-heat the oven to 180c degrees and line a loaf tin with baking paper. 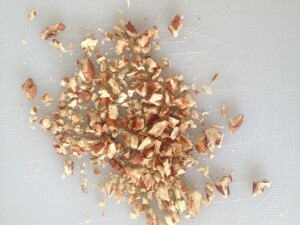 Place the walnuts into a food processor and blitz until fine breadcrumb consistency. 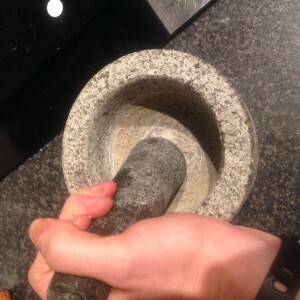 Add the almond meal, LSA, psylium, powder, salt and rosemary to the food processor and pulse until well combine. Pour the mix into a bowl and stir in the chia seeds. In a separate bowl place the grated carrot, eggs, olive oil, honey and lemon zest, beat with a hand whisk until combine. 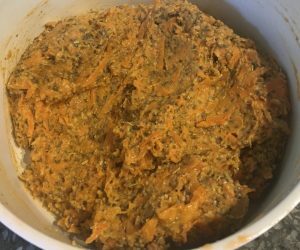 Pour the carrot mix into the rosemary mix and stir until well combine. Spoon the loaf batter mix into the tin, flattening the mix with the back of a spoon to even the top. Bake for 50 minutes or until a skewer inserted in the center comes out clean. Allow the loaf to cool in the tin. Meanwhile, make the frosting by whisking the butter, cheese, lemon zest and honey with electric beaters in a bowl until smooth and creamy. 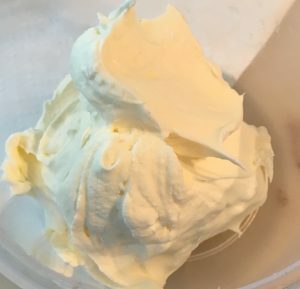 In a separate bowl whisk the cream with electric beaters until soft peaks form. 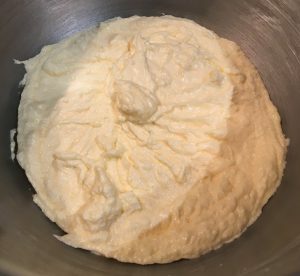 Add the butter mix to the cream mix and beat until combine. 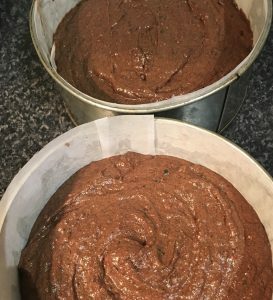 Remove the now cold loaf from the tin and top with the frosting, enjoy. 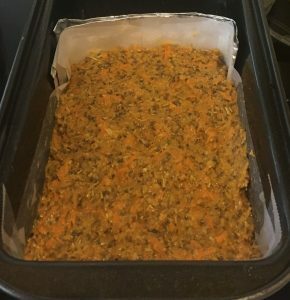 Tags: almond milk, almonds, carrot, chia seeds, honey, lemon, LSA, rosemary, Rosemary Lemon and Carrot Loaf, walnuts	. Posted on July 28, 2018 Posted in Ice-cream & Sorbet	. I have recently been inspired by the old fashion way of making ice-cream, in which entails a thick and creamy custard base. These days vegetable oil has become the base, which is unhealthy, and 100% fat! As the traditional method actually delivers on rich and scrumptious dairy goodness I decided I would take this theme and make a tasty ice-cream that has minimal processed elements that is packed with body loving protein. 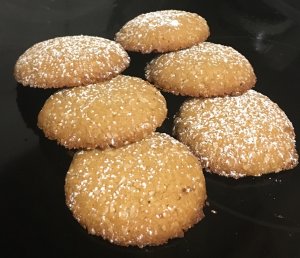 I also wanted to make sure the recipe was super easy and can be done really quickly. Now this is actually quite a lot that the recipe will need deliver on so I created 4 different versions with differing volume ratios of ingredients and varying flavor combos. 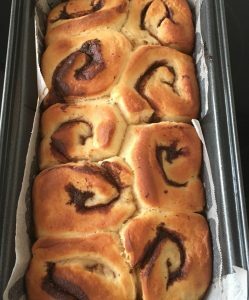 After a bit of trial/error and testing/learning I found the recipe I was looking for. The custard uses custard powder, meaning it takes a whole of 5 mins tops to make. Protein powder and peanuts/peanut butter provides the high protein kick with only natural good oils, while the sweetness has been delivered via natural honey. The only really naught element here is the small amount of caramel on the popcorn. 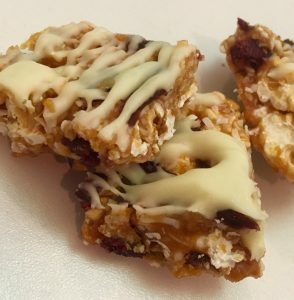 A really tasty and satisfying treat that takes only minutes to make with minimal effort! 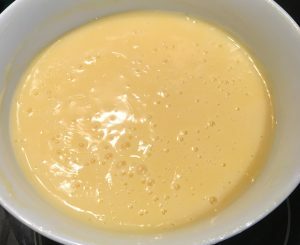 Place the custard ingredients into a bowl and whisk with a hand whisk until combine. 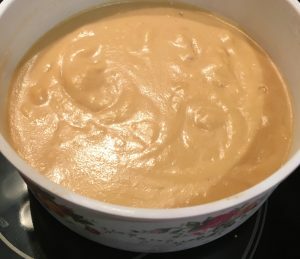 Place the bowl in the microwave for 5 minutes or until the mix resembles a thick custard texture, ensure you whisk in between every minute of cooking. Allow the custard to sit for 5 minutes then top with plastic wrap. Leave the mix aside to cool to room temperature. 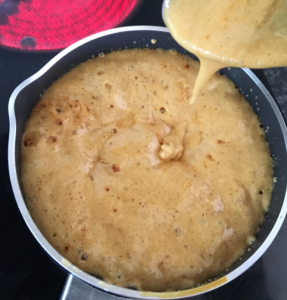 Add to the custard the protein powder, essence, honey and peanut butter, stir. Place the custard mix in a food processor and blitz until smooth and creamy. 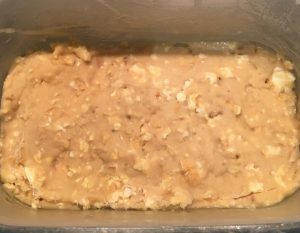 Transfer the custard mix into a large container and stir in the chopped nuts and chopped popcorn until well combine. Place the container in the freezer for 5+ hours to set. When ready to serve remove the ice-cream from the freezer and leave aside to soften slightly for 5 minutes. 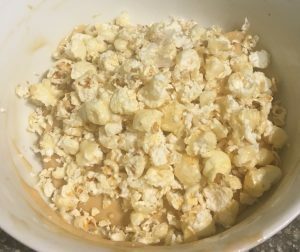 Tags: caramel popcorn, custard, honey, peanuts, popcorn, protein powder, vanilla	. Posted on July 7, 2018 Posted in Muffins	. Gluten free, process-free, butter-free and natural sugar…sound too good to be true? OR too good to taste delicious? Think again. 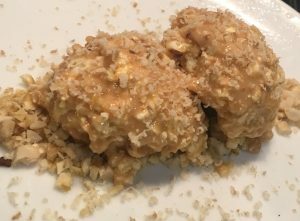 Processed flour is not even missed in this recipe as the almond meal and rice flour produce just as good a result. The honey and dates provide a scrumptious sweetness, while the yoghurt adds some lovely creaminess. 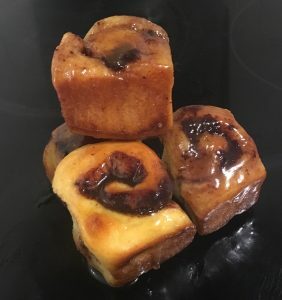 Add to the flavour coconut with a pinch of cinnamon and vanilla and you have yourself a moreish, nutritiously healthy, satisfying, tasty treat that can be eaten anytime throughout the day. Pre-heat the oven to 200c degrees and spray a medium sized (12-capacity) muffin tin with oil spray. Place the rice flour, almond meal, coconut, baking powder, cinnamon, sugar and salt into a bowl and stir until well combined. Make a well in the center of the mix. Place the dates, yoghurt, coconut oil, honey and vanilla in a food processor and blitz until the dates are pureed through the mix. Add the eggs and blitz for 1 minute. Pour the blitzed mix into the dry mix. Fold until all ingredients are just combined. 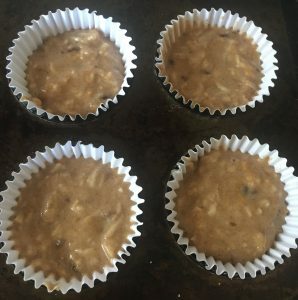 Spoon the batter into the prepared muffin tin and bake for 15 minutes or until a skewer inserted into the center comes out clean. 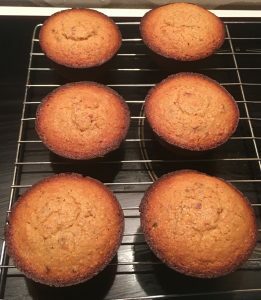 Place the muffins on a cooling tray to cool completely. 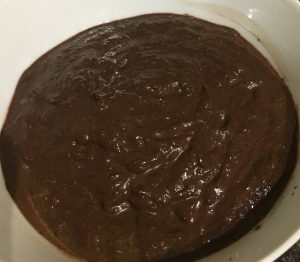 Meanwhile place the chocolate in a sealable plastic bag then in the microwave on medium heat until the chocolate just starts to melt. 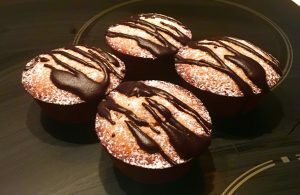 Cut the tip off the corner of the bag and squeeze chocolate over the muffins in a zig zag pattern. 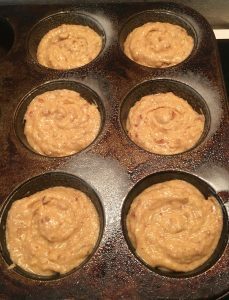 Tags: almonds, coconut, dates, honey, low processed ingredients, Rice Almond and Coconut Muffins, rice flour, yoghurt	. Posted on October 7, 2017 Posted in Cakes	. 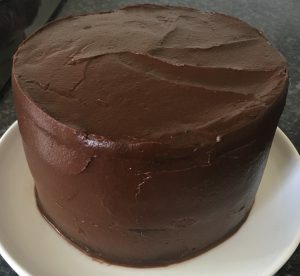 Don’t get scared, hold on and stay with me for 1 minute, I can guarantee this cake will taste only of chocolate, you will not taste a gram of green or healthiness in this cake. 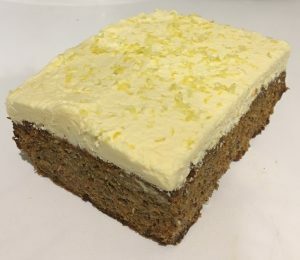 The name of this recipe says it all, I have taken key ingredients that you usually find in green smoothies that provide a pleather of varying health benefits and turned them into a cake. In fact, 12/16 of the ingredients in this cake are well known for their health benefits. 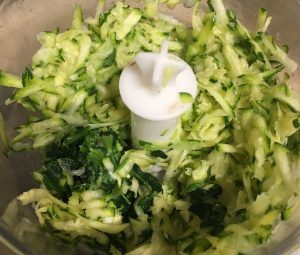 Grate the zucchini into a bowl and squeeze out 65ml of the zucchini liquid. 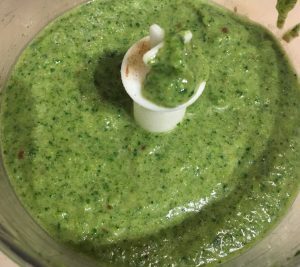 Place in a food processor the spinach, dates and 120ml of the almond milk, blitz until smooth. 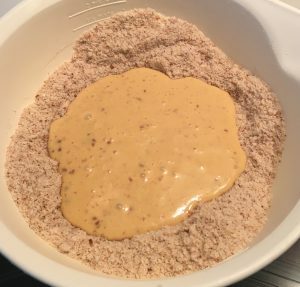 Add the remaining 120ml of almond milk along with the cocoa powder, cinnamon, ginger and turmeric to the food processor. Blitz until smooth and well combine, add to the zucchini and stir to combine. Using electric beaters whisk the butter for 3 minutes or until pale in colour. 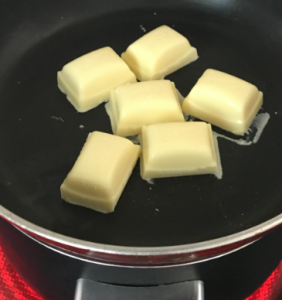 Add the sugar to the butter and beat for 5 minutes until fluffy and light. Add the eggs, one at a time beating for at least 1 minute between each addition (mix should be light, pale and fluffy). 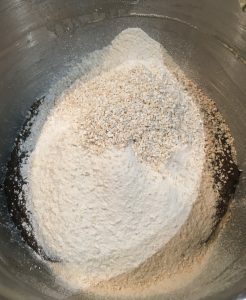 Pour the oatmeal into the butter mix and sieve the self-raising flour into the mix. Add the almond milk wet mix and whisk with electric beaters on low until just combine. Spoon the mix evenly into the 2 prepared cake tins. Bake in the oven for 50 minutes or until a skewer inserted in the center of each cake comes out clean. 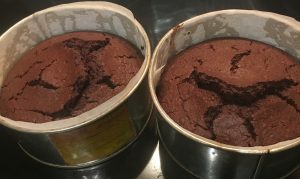 Leave the cakes in the tins for 10 minutes before inverting onto a cooling rack until cold. 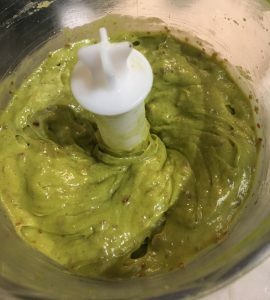 Meanwhile, make the icing by placing the avocado, dates, vanilla and honey into a food processor and blitz until well combine and smooth. 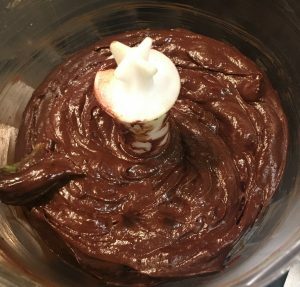 Add the cocoa powder to the avocado mix and blitz until smooth and well combine. Place 1 cake onto a plate, top with 1/3rd of the icing. Add the 2nd cake on top and use the remaining icing on the top and sides of the cake, scatter with the additional dates for decoration, enjoy. NOTE: For additional decoration only I have picked a few flowers for the garden and arranged on top of the cake. Tags: almond milk, avocado, chocolate, cinnamon, dates, ginger, Green Smoothie Chocolate Cake, honey, oatmeal, spinach, turmeric, zucchini	. Posted on October 1, 2017 Posted in Bread	. 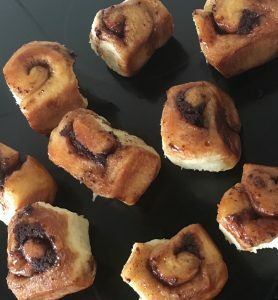 This recipe was originally planned to be chocolate and coffee flavored scrolls, in which the actual dough of the scroll was fluffy and lush but the coffee glaze was not really a standout and to be honest a little boring. Maybe it was the fact chocolate and coffee is such a common flavor combo or maybe there was just no interesting wow factor in the treats. 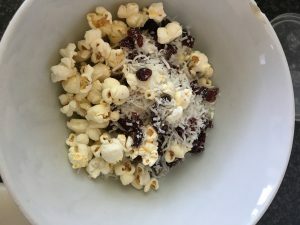 As I had an awesome cloud-like dough recipe I decided I had to do something with this so I went on an experimental journey with a range of different flavor combos from ingredients that I had in my pantry. After a few combo assortments, I landed on one I was super happy with and couldn’t stop eating! 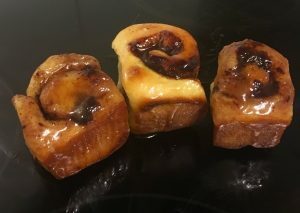 I have baked with Chocolate and Bourbon previously (see my Bourbon Chocolate Cake with Peanut Bourbon Icing), thus I knew these flavors work together, however this time I wanted to add an almost caramel flavor to the mix therefore used brown sugar and honey for the glaze that would traditionally be make from white sugar only. The outcome of the glaze was to die for. 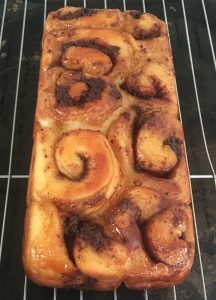 It is easily the standout of the scrolls I made up in my experimenting …It’s made me want to make a bourbon, caramel and honey cake now…maybe that can be my next experiment…. 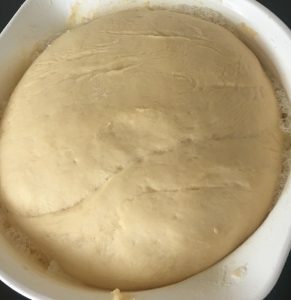 To make the dough place the water, melted butter, sugar and the yeast in a bowl and stir to combine. 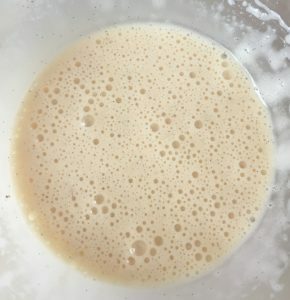 Leave the yeast mix to sit for 5 minutes, or until foamy. Add the eggs to the yeast mix and whisk with a hand whisk until combine. In a bowl place the milk powder, salt and flour, stir. Using the hand whisk beat 300g of the dry flour mix into the water until combine. With a spatula stir and fold the remaining flour mix until a dough is formed. Flour a bench surface and knead the dough for 10 minutes, adding extra flour if required to make the dough smooth and elastic. Lightly oil a bowl, add the dough, cover the bowl with plastic wrap and place the bowl in a warm place until doubled in size (at least 1 hour). 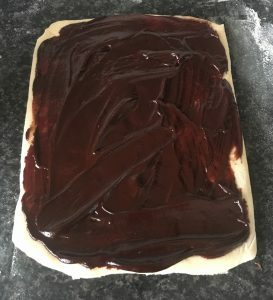 While the dough proves pre-heat the oven to 175c degrees and line a 20cm x 35cm cake tin with baking paper. Now make the filling by placing the cream in a bowl and heat in the microwave until the cream just starts to boil. Add the chocolate to the cream and stir until smooth and silky. 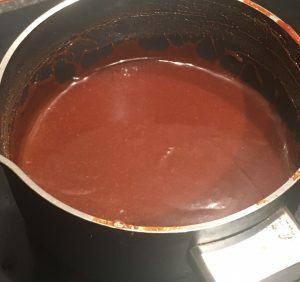 Following, make the glaze by placing all the ingredients into a saucepan on a high heat, stirring until the mix is bubbling, take off the heat. Pour the glaze in to the cake tin lined base, ensuring the base is evenly covered with the mix. Flour a bench surface, place the dough in the center and top with a little sprinkle of extra flour. 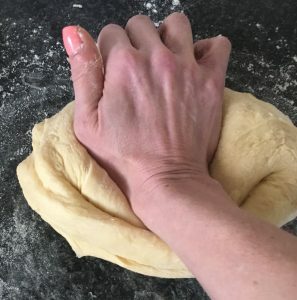 Use a rolling pin roll the dough into a 15cm x 40cm rectangle shape. Spread the filling onto the dough covering it evenly. 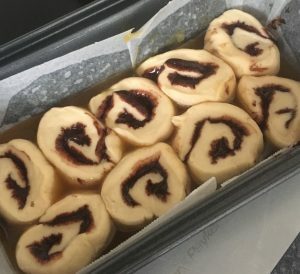 With a longest side facing you roll the long side of the dough tightly into a swiss roll (jelly-roll style logs), seam side at the bottom of the roll. Cut the roll into 3cm sized spiral slices and arrange the spiral slices cut side up into the cake tin on top of the glaze. Push the spirals into the base of the tin slightly with fingertips and brush the tops with the 20ml milk. Top the tin with plastic wrap and leave to rise for 1 hour or until doubled in size. 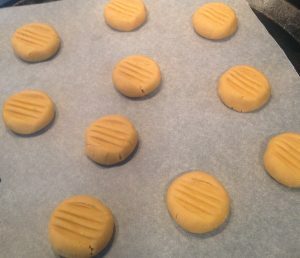 Place the tin in the middle of the oven and bake for 25 minutes or until the tops are golden in colour. 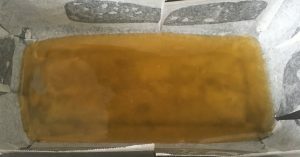 Invert onto a plate and top with any remaining syrup left in the tin. Allow scrolls to sit until slightly cooled then using fingers pull the scrolls apart from each other. Serve with a cup of tea (if you wish) and enjoy. 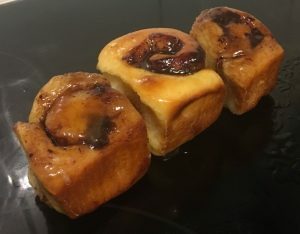 Tags: bourbon, buns, dark chocolate, honey, scrolls, Sticky Chocolate and Bourbon Scrolls	. Posted on September 23, 2017 Posted in Cupcakes	. This recipe was designed specifically to challenge me. 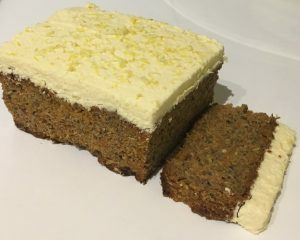 I’m not a fan of parsnip at all, however as I have baked with almost every other root vegetable I decided to really push my taste buds to not only come up with a Parsnip based recipe but a recipe that is super tasty. 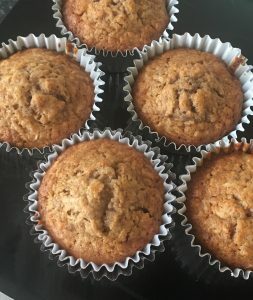 I am so surprised at how good this recipe is, who would have though such a tasty cupcake treat could come from one of my least favorite vegetables. 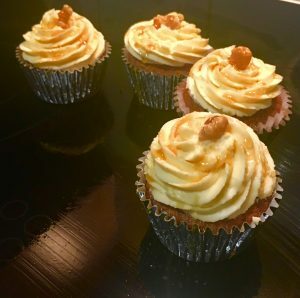 The spice combos with dates, honey, walnuts and orange took a bit of tweaking I won’t lie, but it was well worth the experimenting to get it right! Preheat the oven to 175c degrees and line a cupcake tin with 12 patty cases. 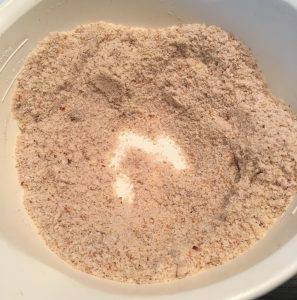 Place the flour, baking powder, sugar, ginger, cinnamon, salt, nutmeg and mixed spice into a bowl and stir until well combined. Dice the dates and walnuts into small pieces and add to the flour mix, stir. Grate the parsnip into the flour mix as well as the orange zest, stir until well combined. In a separate bowl whisk the eggs with electric beaters until light and fluffy. 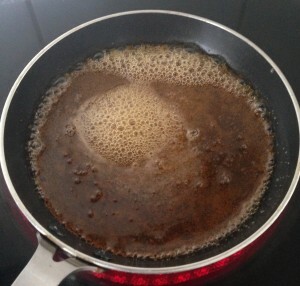 Add the oil, honey and vanilla to the egg mix and beat for 4 minutes, until well combine and bubbly. Evenly spoon the batter into the patty cases. Bake the cupcakes in the oven for 20 minutes or until a skewer inserted in the center comes out clean. Leave for cupcakes for 5 minutes before placing on a cooling rack until cold. 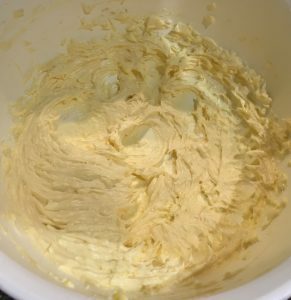 Meanwhile make the icing by placing the softened cream cheese, softened butter, orange zest and icing sugar into a bowl. Using electric beaters whisk until fluffy and well combine. Place the icing into a piping bag fit with a star noddle and pipe the icing on top of the cupcakes. 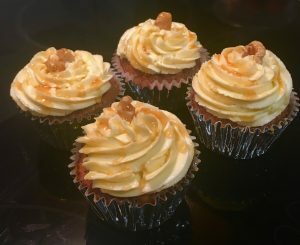 Tags: cinnamon, cream cheese frosting, dates, ginger, honey, mixed spice, mutmeg, orange, parsnip, Spiced Parsnip Date and Orange Cupcakes, spices, walnuts	.